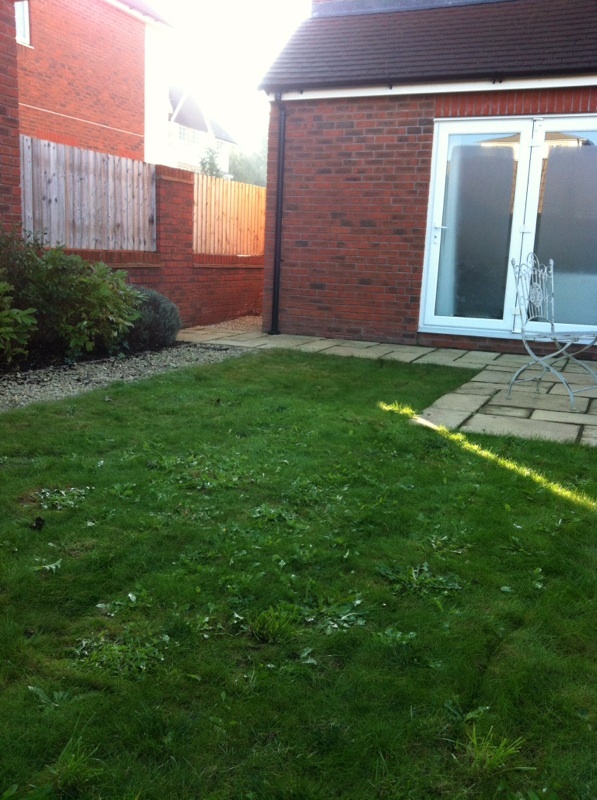 This lawn had been invaded by weeds and had become very patchy and uneven. There was only one solution ....to remove the entire lawn and treat for weeds. It took 5 tonnes of topsoil to ensure the ground was level and suitably prepared. We were then able to lay the 45 metres of good quality turf, knowing that the groundwork had all been done and the weeds had been dealt with to discourage their regrowth. What a difference, good job Ryan !! This job took 2 people 2 days to complete. Spam protection question: What is eight plus four?